Ooooh how I love getting packages in the mail! Especially when those packages contain beautiful things like these. 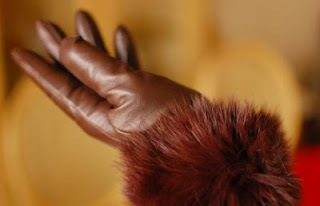 Luxurylane.com contacted me and asked if I would like to review a pair of their fabulous gloves. I think it took all of .3 seconds before I e-mailed them back with a resounding "YES please!" Winter in East Texas means our weather can go from 82F to 32F and back again in a 24 hour period so I always need cold weather gear at the ready. I don't know about you, but tend to have two major problems with my gloves: they let the cold in around my wrists and they don't provide enough insulation so my hands still get cold. Just as you may think from that description, they are scrumptiously warm and cozy gloves with no hint of cold wrists. The cashmere feels incredibly luxurious on the inside and the supple leather and fur block the cold from the outside. They are a perfect combination of form and function. Luxurylane.com doesn't only deal in gloves though, they have house decor, men's, women's, and children's fashions as well. I felt like their prices were not extravagant and I thought the way they packaged their product was thoughtful. 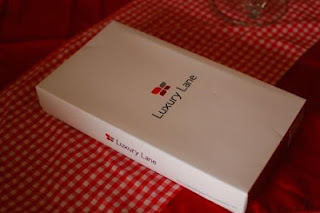 Luxury Lane would be a great resource for gifts or a little lagniappe for yourself. I was sent a pair of gloves by luxurylane.com to facilitate my review. All opinions and giddiness over new gloves are my own. 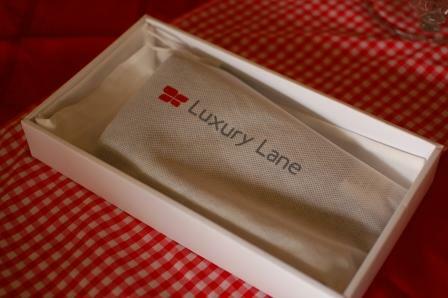 Thanks Luxury Lane; the gloves are beautiful! Definitely worth the splurge Ms. Carolyn.